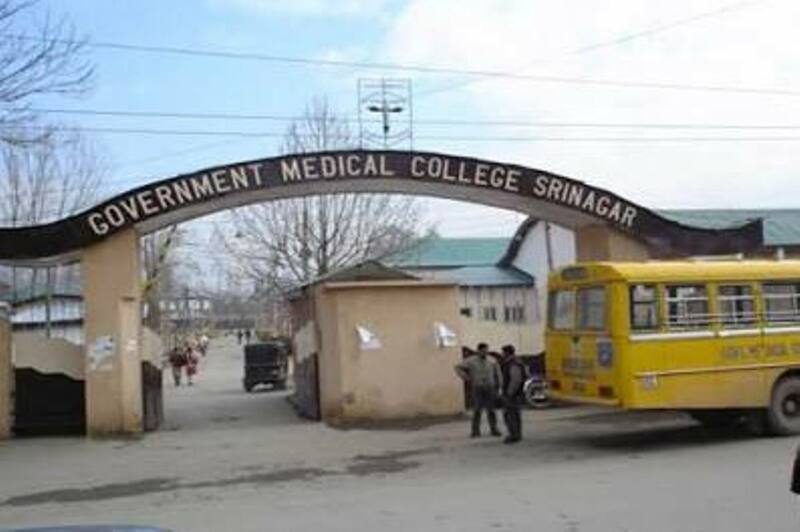 SRINAGAR: The state-run Medical College in Srinagar may be again pushed to the edge as the authorities want some of the existing faculties to man the about-to-start new medical colleges across the state. If it happens, insiders said, it will be a deadly blow to the college that is already facing a serious crisis on faculty front. The policymakers in the civil secretariat want 13 teaching positions to be shifted out of GMC on “lateral entry” basis. From GMC, Jammu, seven teaching positions will also follow the suit. Both the colleges are in stress and have voiced their anger against the order that will destabilise both the institutions. The heads of the twin colleges got the communication from the Health and Medical Education department on December 13, last year when they were asked to offer comments on the select list of doctors who are being considered “for transfer and adjustment y lateral entry in the five newly established Medical Colleges of the state”. The communication sought an impact assessment in case these faculty positions are shifted. Responding to the communication on December 26, 2018, Dr Sunanda Raina, who heads the GMC Jammu, said the idea was not in the interest of either of the two institutions. She had enough grounds to support her decision. The letter insisted that the MCI will not count any such head as posted on lateral entry basis in both the institutions, as they are swapped as proposed. “This is likely to lead to huge faculty deficiency in various cadres not only at GMC, Srinagar but also in GMC Jammu as well and any faculty deficiency by any such action shall pose the threat of de-recognition of both these institutions,” the letter, addressed to the Principal Secretary Health and Medical Education department reads. Besides, she has said that “posting of any such doctors on lateral entry basis in GMC Jammu/Srinagar or in New Medical Colleges shall also create a conflict of interest and seniority between the Faculty Members and thus shall invite litigations.” The PSC and MCI, it adds, do not permit the lateral entry. “It will set wrong precedence amongst the Faculty members of both the institutions,” it adds. The dozen doctors whom the Medical Education department has identified for lateral entry include Associated Professor anaesthesiology Dr Sanjay Kalrotra, Associate Prof Pharmacology Vineeta Sawhney, medicine lecturer Dr Vinod Mitla, Associate Professor medicine Dr Badri Nath Bhogal, lecturer anaesthesiology Dr Rubeena Nazir, biochemistry lecturer Dr Ashok Bhagat, paediatrics Associate Professor Dr Virendra Bhagat to the upcoming GMC in Kathua. Prof Ghulam Ali Shah (anaesthesiology) and Assistant Professor Paediatrics Javaid Iqbal have been identified for the GMC Rajouri. While medicine Assistant Professor Dr Mohammad Ashraf has been identified for lateral entry for GMC, Anantnag, two Assistant Professors in Surgery – Dr Kulwant Singh and Dr M R Atri have been identified to go for lateral entry in the GMC Jammu. Interestingly, four of them – Mitla, Rubeena, Javaid and Baghat are borne on the GMC Srinagar establishment but are serving the GMC Jammu for one or the other reason. Informed sources told Kashmir Life that GMC Srinagar is still facing a sort of crisis as far as its faculty position is concerned. It has three institutions to manage: the GMC, the Dental College and the Super-Speciality Hospital. With 460 positions for GMC, 27 for GDC and 72 for the Super Speciality Hospital, the entire health triangle in Srinagar requires a total of 559 positions. But given the crisis it is facing, it has more than half the positions vacant. These include 242 positions in the GMC, and 60 in Super Speciality hospital which makes a total of 302 vacancies. Off late, the hospital has been running the show with the in-charge system and on academic arrangement basis. Right now, on a substantive basis, the GMC Srinagar has only 233 positions in place – 228 in GMC and five in Super Speciality Hospital. Right now, there are a total of 24 positions which are managed on an in-charge basis. Besides, there are 56 other positions which are being managed on academic arrangement basis. If the positions being managed on academic arrangement basis are added to the vacant faculty list, it will show a much serious crisis in the GMC. Insiders in the GMC said they can help the government by relieving ten doctors who are deputed by the Director of Health Services against teaching positions. “They have been teaching at the GMC for more than a decade and have enough of capacity and knowledge of working at a teaching hospital that they can help the newer college take off,” one senior insider in the GMC Srinagar said. “We are already facing the crisis because some doctors from Jammu who were appointed by the PSC for GMC Jammu have used different routes to serve at Jammu which is unfortunate.” These include the only CVT surgeon that PSC had appointed to the GMC, Srinagar. Both the heads of the GMCs have responded in negative. What the policymakers in the civil secretariat will now be doing is immediately not known. Interestingly, most of the new medical colleges are still not having even the buildings. How wise is the wisdom than existing colleges start getting disrupted for the college that will take some more time?